This view is from the south, over the Old Smolensk Road and some of the Polish corps is at the bottom edge of the photo. 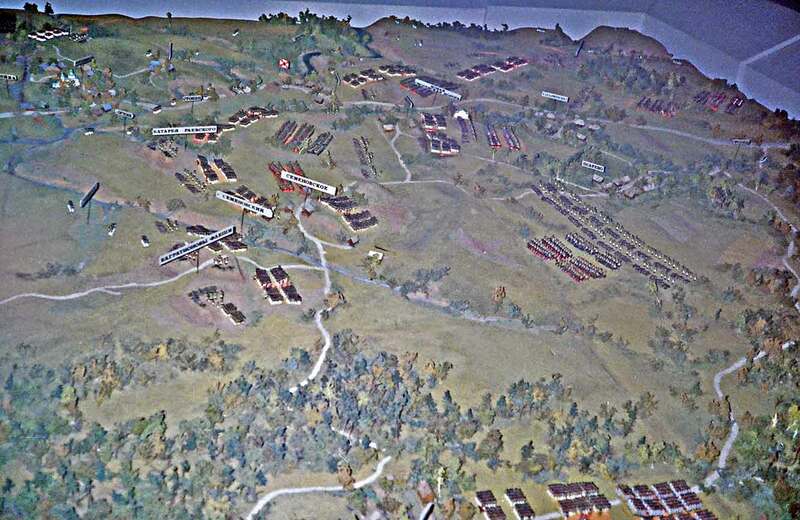 The three Bagration fletches are in the center just above the woods. Semyenovski ruined village is close above them. Note the stream in a ravine that the French cavalry had to pass through. The Rayevski redoubt is clearly seen and beyond it the church in Borodino village. The diorama table does not include much of the Russian far right and far left positions.